FIREFLY FF800 GLASS ROLL COVERING was developed over 25 years ago specifically to replace asbestos roll cladding materials in the flat glass industries. FIREFLY millboards can be used in sheet form in a wide range of applications in the glass production industry, including heat shields, flue gas gaskets, and insulation pads for conveying newly formed glass components. However, it is in the form of rings for the assembly of sheet glass conveying rolls that FIREFLY FF800 demonstrates its unique high temperature strength, non-marking and long life properties. The FIREFLY 800 rings of typically 8 mm thickness are compressed onto a mandrel and machined. FIREFLY 800 covered rolls are used in the float, flat and vertical drawn glass processes. Plus many roll builders, float glass lehr manufacturers and vertical glass processing machine builders worldwide. The float glass process was invented and developed in response to the need to make large sheets of high quality, distortion free glass more economically. In this process, a continuous ribbon of molten glass, typically over 2 metres wide, moves out of the furnace and floats on the surface of molten tin. The ribbon of glass is held at a temperature for a period of time sufficient for all irregularities to be removed and the surface of the glass to become flat and parallel. The glass is then cooled in a controlled manner until the surface is hard enough to be taken out of the bath on rolls without marking the bottom surface of the ribbon. The glass is then annealed in a lehr where the glass is transported over more than 200 rolls, gradually cooled to room temperature and cut to size. FIREFLY FF800 covering is used to produce these rolls. The silk-like texture of the machined roll provides a surface which is kind to glass thereby eliminating scratching or scuffing of the hot glass. 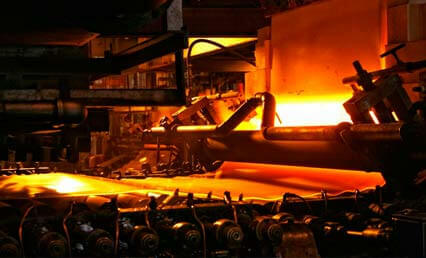 FIREFLY FF800 Glass Roll Covering contains high temperature binders that achieve optimum strength above 400 °C (750 °F). The rolls are operated continuously for many years because of their self cleaning properties. Unlike stainless steel or fused silica rolls, neither glass nor tin compounds adhere readily to the roll surface. Therefore, expensive cleaning operations, which can sometimes mean complete shut-down of the plant, can be avoided. 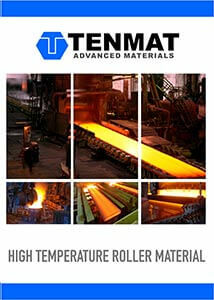 As for float glass, FIREFLY FF800 covered rolls are used to carry the glass from the furnace and through the lehr. Although of a much smaller diameter and length, FIREFLY FF800 covered rolls are used to convey the ribbon of glass up the tower until it is cool enough to be cut and packed. FIREFLY FF800 covered rolls are eminently more versatile then stainless steel and fused silica types. 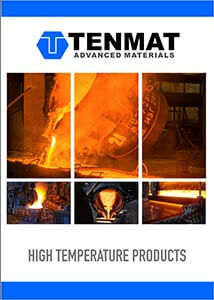 They can be fabricated simply and are therefore, less costly. In the case of vertical glass drawing machines the covered rolls can be machined to include grooves/scallops to aid broken glass removal. Their inherent superior thermal properties and compressibility, compared to steel, confer improved operational control performance.